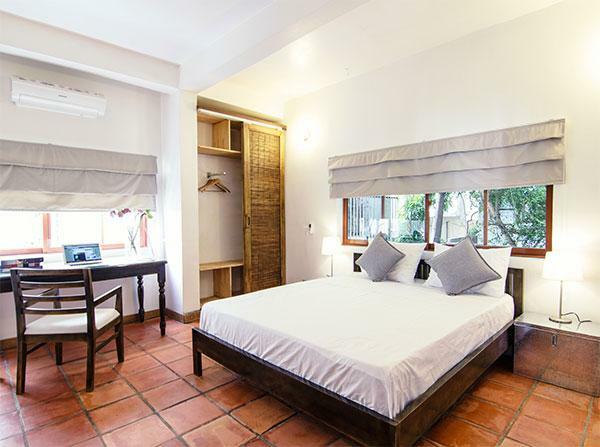 We offer three types of modern rooms to make your your stay in Phnom Penh a pleasure. 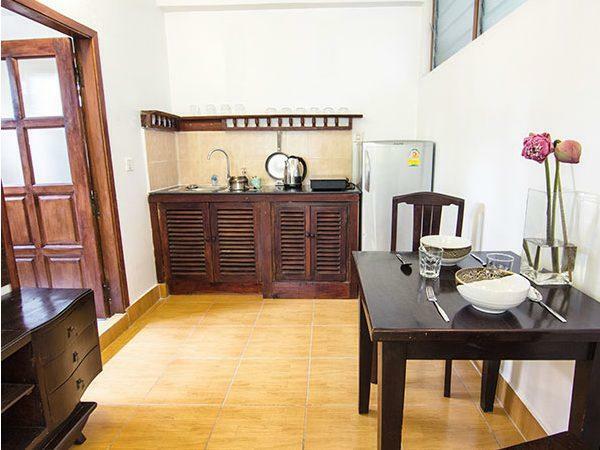 We have ten double rooms with private bathrooms, and three apartment units with kitchen facilities and a living room, catering to travelers wanting to self-cater and long-term guests. 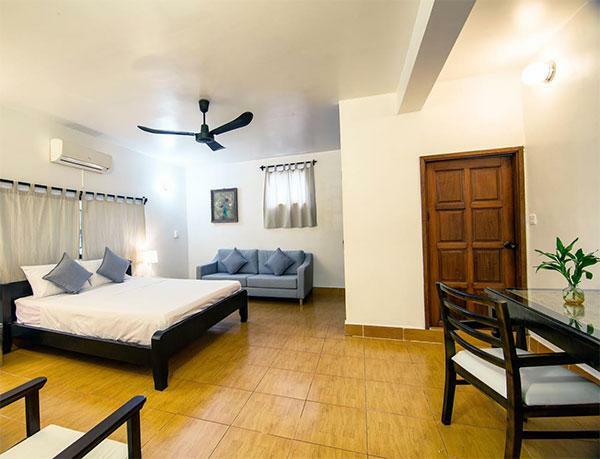 We cater to families with children, artists, and those on business trips looking to get away from the standard hotel experience and the city, while supporting a good cause – the Seametrey Children’s Village. For more information on visiting the school, please contact us.